Recently the Canadian Rhinosinusitis Best Practices and Standards Working Group (R.W.G.) released Sinusitis Toolbox, an application to find difference between cold and sinus infection. Tech-savvy physicians can download this free application from the iTunes App Store. The application uses features of a tablet computer and an iPhone to demonstrate management of these two diseases, which are generally confused with each other. The application, a novel learning tool, is based on the Canadian Clinical Practice Guidelines for Acute and Chronic Rhinosinusitis for adults over 18 years. The interactive tool can be used in different types of clinical settings. The tool helps in recording educational videos of various nasal pathologies, diagnosis and treatment. These recordings can be watched from anywhere. With educational videos, medical practitioners can enhance their nasal examination and diagnosis skills, and select the most suitable treatment. Better understanding of the disorder will curb misuse of antibiotics, reducing chances of complications and antibiotic resistance. The information collected through the application will also help in reviewing and improving the diagnosis, management, prescription and treatment guidelines and related policy. The videos present images gathered from a CT scan or an endoscope. Brief information about the condition represented in the images is also included. The image library covers different conditions such as chronic rhinosinusitis with allergic fungal sinusitis, nasal polyposis, allergic rhinitis, acute bacterial rhinosinusitis and base-line normal. The self-assessment feature of the tool consists of a quiz that reveals user’s level of understanding. The tool will facilitate uniform treatment of sinusitis. The application uses algorithms, mnemonics, pictures and videos to assess sinusitis symptoms. You can slide or touch the screen to browse the algorithms. While making a clinical decision, the application asks you a question about clinical test results, symptoms or duration of symptom. As soon as you answer the question, recommendations appear on the next screen. The tool features an easy training session for nasal examination. The session also highlights useful practical tips. The application guides in finding answers to various clinical questions related to sinusitis. For instance, how do you find difference between cold and sinus infection and allergy? How do you distinguish between acute and chronic sinusitis? Which is the correct examination method for the patients who may be suffering from chronic or acute condition? Is an antibiotic course necessary for managing acute bacterial sinusitis? What are the ways to identify complications in sinusitis patients? Which is the optimal management method? What should be the best management method for chronic sinusitis patients? So next time use the application to identify difference between cold and sinus infectionand win heart of your tech-savvy patients. 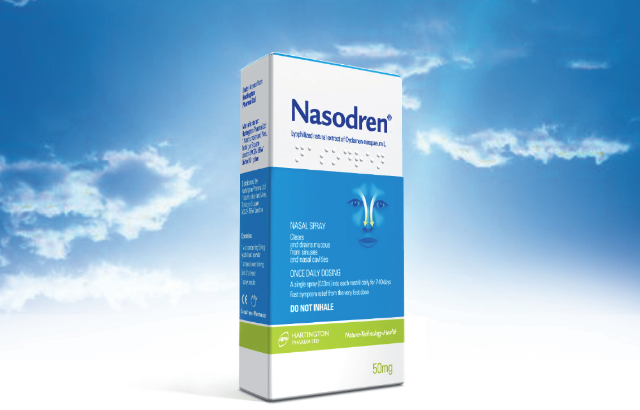 What does cause constant sinus congestion? Can pregnancy be a cause of sinus headache?